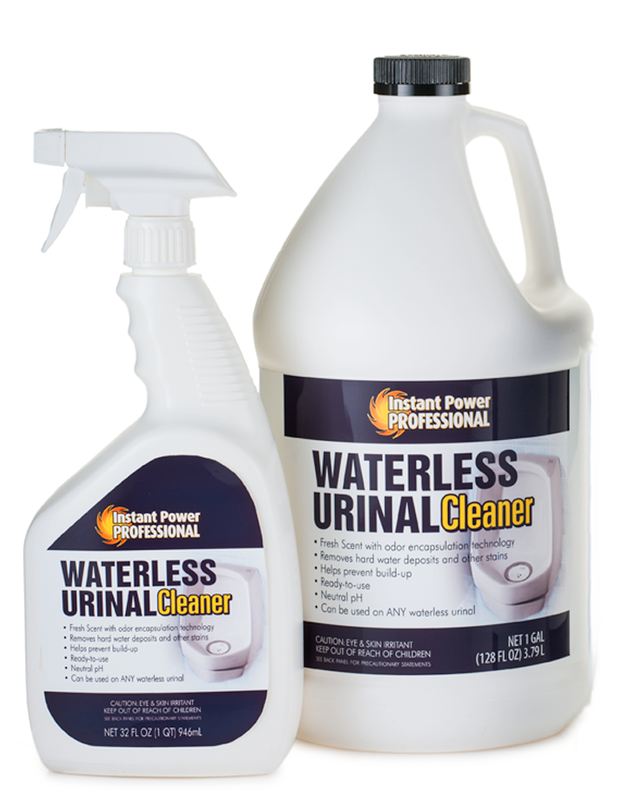 Instantly removes all rust, lime, mineral deposits, and hard water build-up in toilet & urinal bowl. 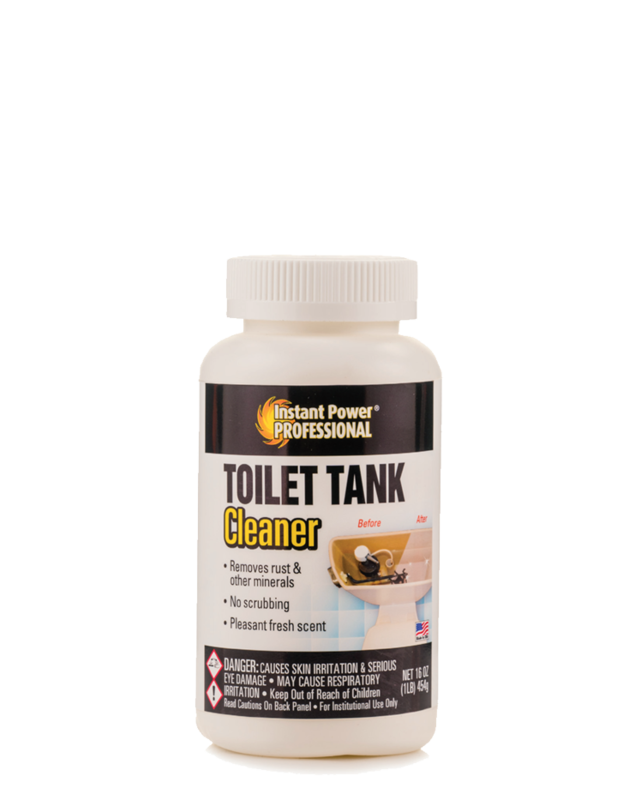 Improves toilet/urinal fl ushing actions by clearing clogged flush holes. 1. While standing over bowl/urinal, saturate soft toilet brush with Instant Power Professional. 2. 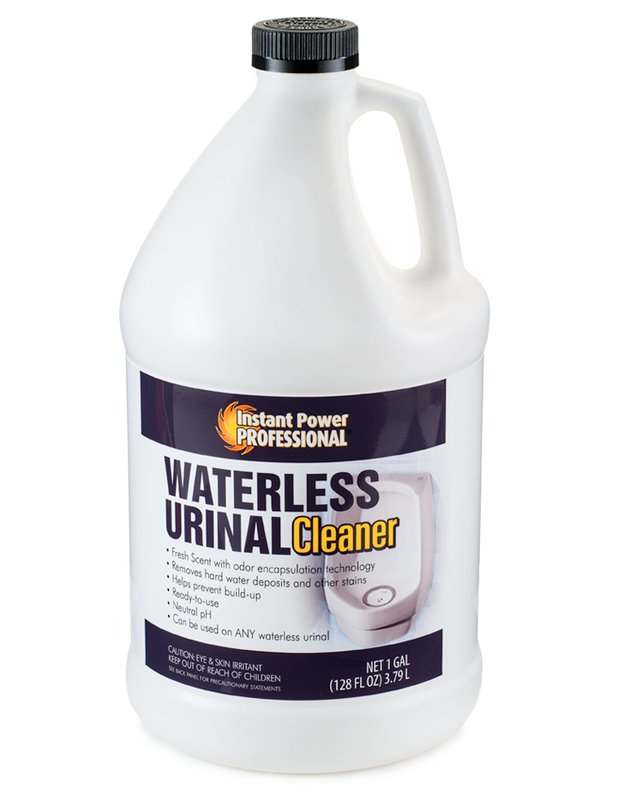 Wipe toilet brush under the rim of bowl/urinal forcing cleaner into the fl ush holes. For urinals, wipe brush from the top fl ush holes around the inside of the urinal to the drain. 3. Wait 15 minutes before flushing. 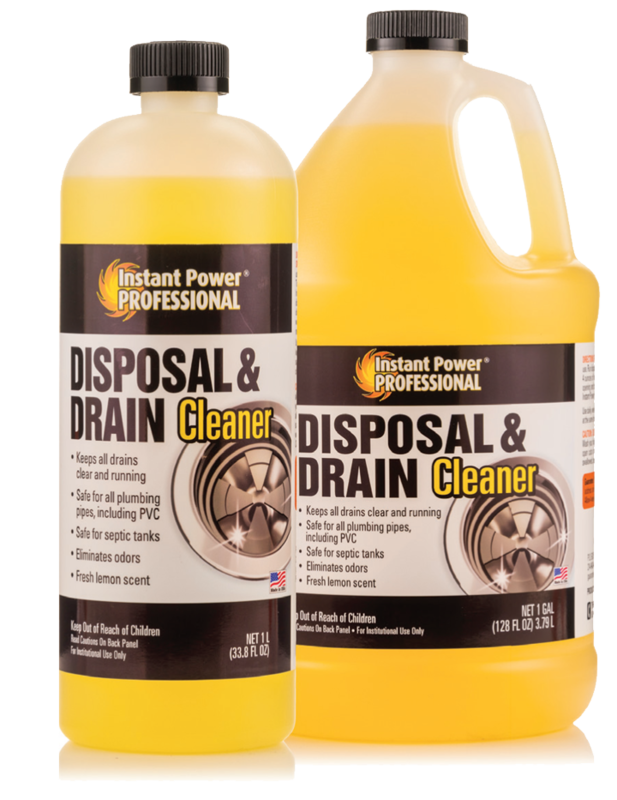 Instant Power Professional will begin to dissolve flush hole mineral deposits. 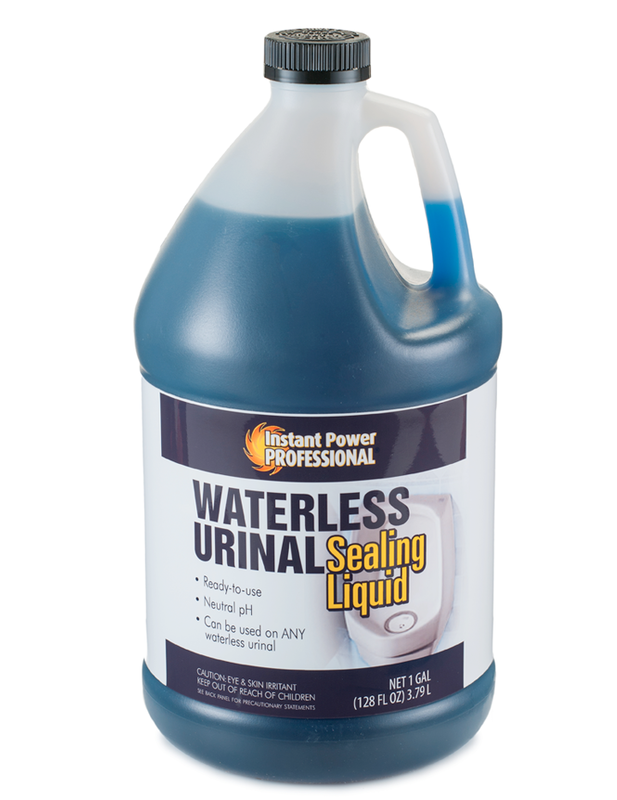 Repeat as necessary with your regular cleaning until flush holes are free of deposits. 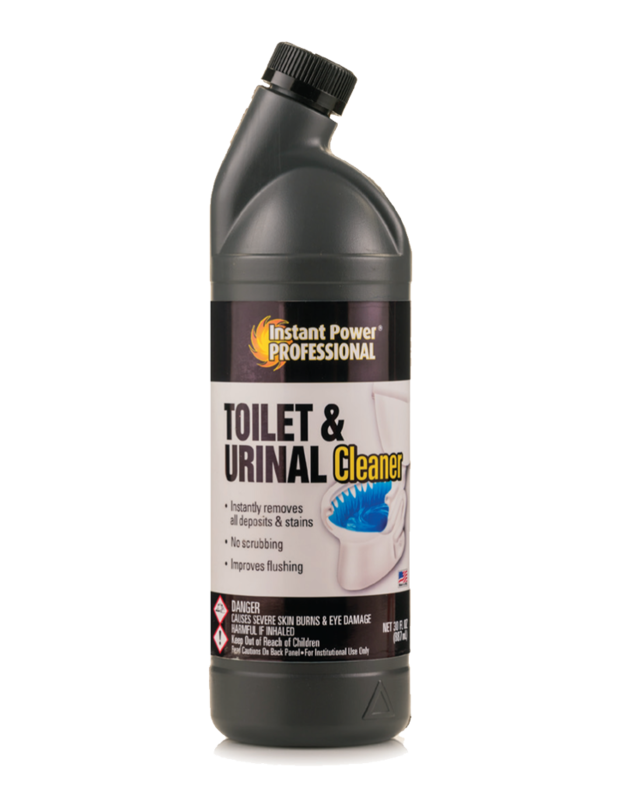 Distribute Instant Power Professional over the entire inside bowl/urinal area with a soft toilet brush. Wait 15 minutes and flush. After use, rinse brush with fresh water. 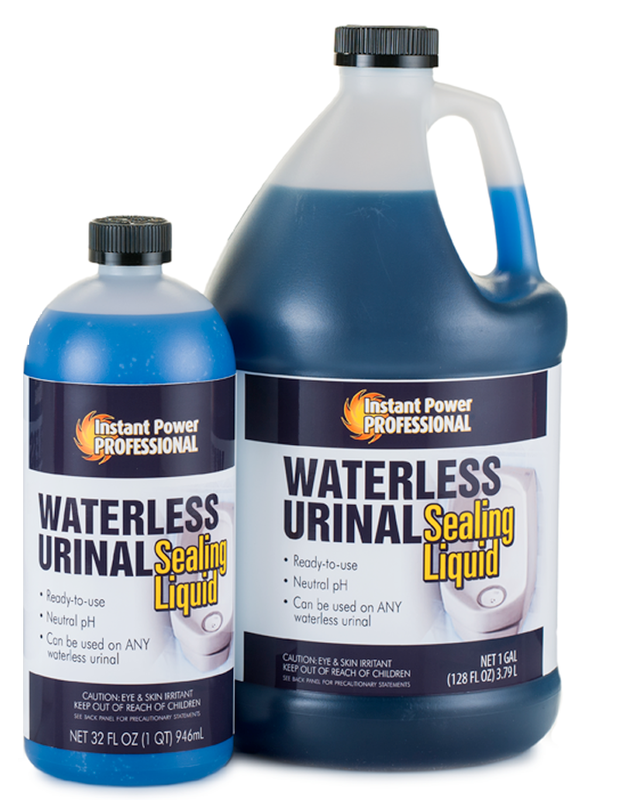 To remove excessive calcium/uric acid build-up, remove cartridge, pour Instant Power Professional onto the inside of the drain. Let sit for 15 minutes. Flush with water. Replace cartridge.